The camp has a 'laid back' family holiday feel to it. There is time at the beach, some teaching, programmes for kids, songs of praise and shared main meals. The whole weekend becomes an excellent opportunity to spend quality time hanging out with each other. 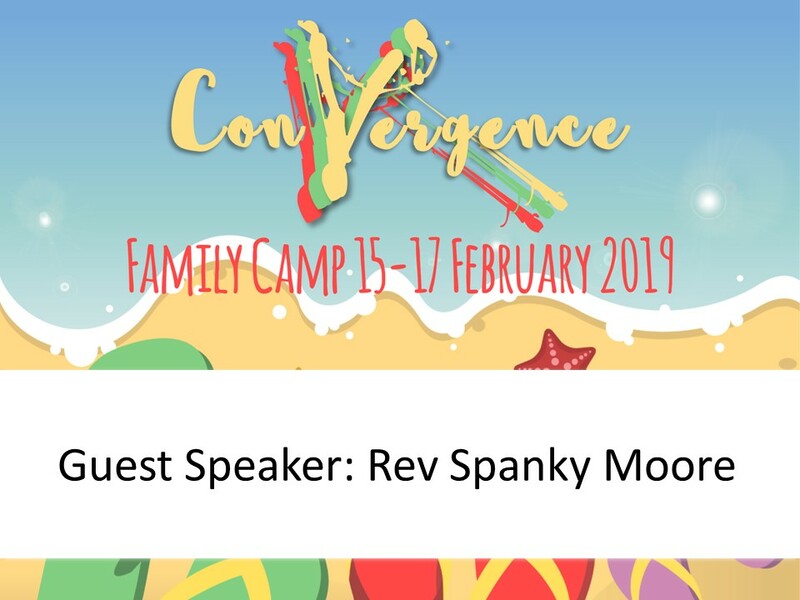 Spanky Moore is the guest Speaker this year, a humerous and talented communicator who has been wrestling with what faithful discipleship looks like in our current cultural curcumstances. His theme this year is 'Information' - you will not want to miss hearing what he has to say! If you are interested, please contact Jonathan@nativity.org.nz or 027 8580656 to let him know. You can register directly with the camp organisers: www.stbarnabas.co.nz/convergence-camp. Jonathan is helping liaise with the camp to make sure accommodation is sussed well. There are four main types of accommodation: cabins, dormitories, caravan and tent sites. Please Note that as of the 25th of Jan 2019 all cabins and dormitories have been alocated! Please talk to Jonathan if you plan to go or would like a printed registration form which you can pick up from Nativity church office (You can also download, print and fill in the form below). Registrations close early Feb however in order to get your preferred accommodation options please register and contact Jonathan as soon as you are able. Camp costs are: Single $80, Couple $100, Family $140, Day Visitor $30 per day. Please read registration form fully for more detail. There is no age limit, no one is too young or too old! You may see me heading up one of the mountain bike tracks that link to the camp ground or, you may join Jessica, Lucy and myself on the waterslide?